When you are dealing with Caregiving loss you should be strong, compassionate, and professional. I ran my own company as if the client was my own family members, but always stayed calm, helpful and not to close. It was difficult at times to shut the emotions off during a Caregiving loss. 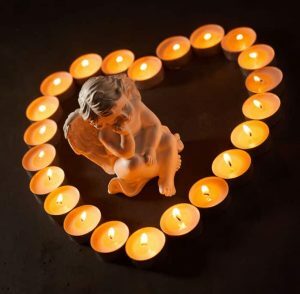 Losing a loved one is a very traumatic situation. After 25 years of caregiving, it really takes a toll when it is your own family members. A client once told me, that caregiving loss should be celebrated when they had lived a long, happy life. And that we should be sad when someone’s life is taken too soon. I agree but it is still hard to accept a caregiving loss no matter what the situation is. This is why I took so much time off from the website. The last 4 years I have endured so much Caregiving loss that I almost decided to give it all up. It is much different when it is your own family. I lost my uncle to suicide because he decided he no longer wanted to be here at the age of 85. Then my father found out he had bladder cancer and the misery and torture began. In the process of my family problems, I was caring for clients in the field that had Congestive Heart Failure, Alzheimer’s, and other ailments. I also lost them too. After hurricane Katrina, we lost both my uncles and dads home. It was overwhelming and shocking to go through such an ordeal. My uncle wanted to move as far away from the water as he could. He had moved deep into Mississippi. He was a single man that had no children so I was the one who cared for him. I begged him to move closer to me but he refused to. So I made him at least move near a good hospital with good doctors and other healthcare professionals. I went up as often as I could to cook and help with everything I could to make him comfortable. Unfortunately, it was not enough. The phone calls started getting less and less. I tried to get him involved in the local library or senior center, and he did not want anything to do with it. We all get so busy with life that we lose sight to the bigger picture. He put on a great show and acted as if everything was wonderful. Then one day I received a letter with a key to his home and the note said this was in case of emergency I am 85. I went down there and he was losing weight, but he continued to assure me everything was fine. He keep himself busy with rose gardening, woodworking and had good neighbors around him. I told him that the only way I would feel comfortable is that if he would see his doctor. The doctor ran a complete physical and told me all his test came back that he was fine. You never in your wildest dreams think it could happen to you! I was 4 hours away when a neighbor told me that my uncle was acting unusual. He said that he had brought him letters for me and my dad with instructions in case anything were to happen to him. I called and managed to have the police go by, but the letters were gone and they said he was fine. They claimed, they did not see any unusual behavior from him. The neighbor went to the store to buy his weekly groceries. When he came back he found my uncle with a gunshot wound, he was barely conscious. He called me to inform me that they rushed him to the hospital. I had to see such a horrific sight and he could not talk and wrote for me to pull the plug. I had to sign a DNR and several hours later he passed away. It was mortifying and it took a major toll on me. My father was the oldest of 9 children and he was the last of 3 remaining brothers at age 90. He was in total shock and could not come to terms of why this had happened. He went through all the emotions: anger, sadness, disbelief. But never acceptance. It was very hard to see and deal with. He was so angry with his brother for not confiding in him, we all were. Then he was sad he lost his best friend, then for months, he was in total disbelief, as it really never happens. Finally, he went through his day a very sad person that lost all hope but never could accept that he lost his brother. He kept stating that nothing like this happened in his family before. After such unbelievable caregiving loss, I found out that I was going to lose my father to Bladder Cancer! The diagnosis was stage 4, he chalked it up to now going home to be with his brother. I tried to convince him to fight, but it was hopeless he had come to terms with it and started to get his affairs in order. I did not want to accept this and wanted him to fight but at 91 it was hard to convince him otherwise. From the date of the diagnosis to his passing was only 6 months. 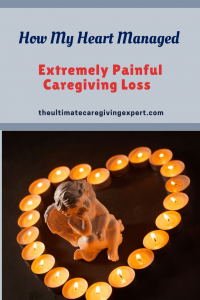 This was another caregiving loss that I could not deal with, it happened to fast again. My caregiving loss was overwhelming! 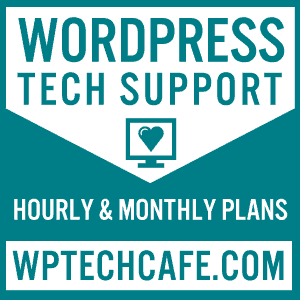 This is why I had to take a break from my website and caregiving. It has taken a massive toll on me, but I am a fighter and have massive faith. I was put on this earth to be The Ultimate Caregiver to help others and my family. I decided to continue my quest as a caregiver. Wanting to keep informing the public of everything there is to know of Caregiving. The good, the bad and the ugly to help everyone in the world. Come check out my site for support and knowledge of Caregiving. A place where you can get answers to your caregiving problems.